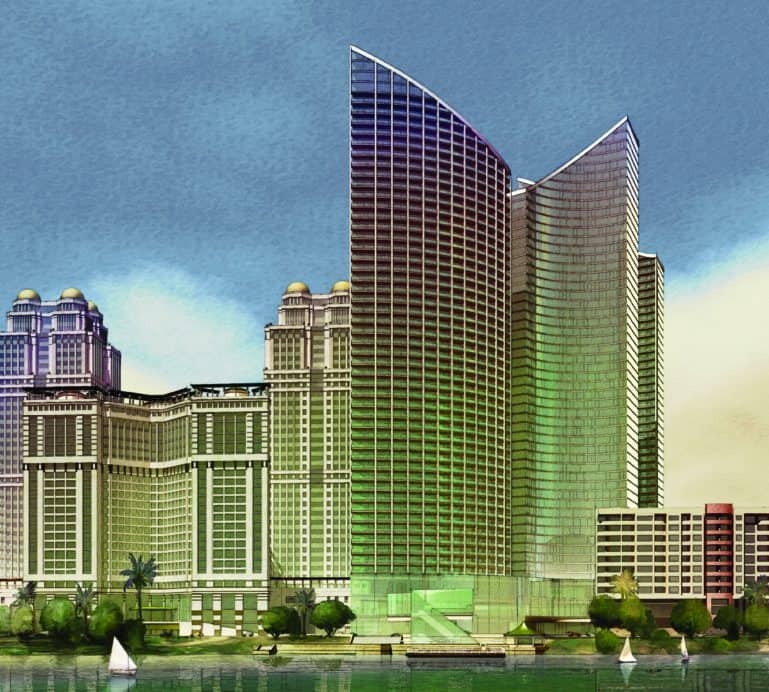 Sydness Architects was commissioned to design a 1.7 million square foot mixed-use project along the Corniche on the Nile River in Cairo. 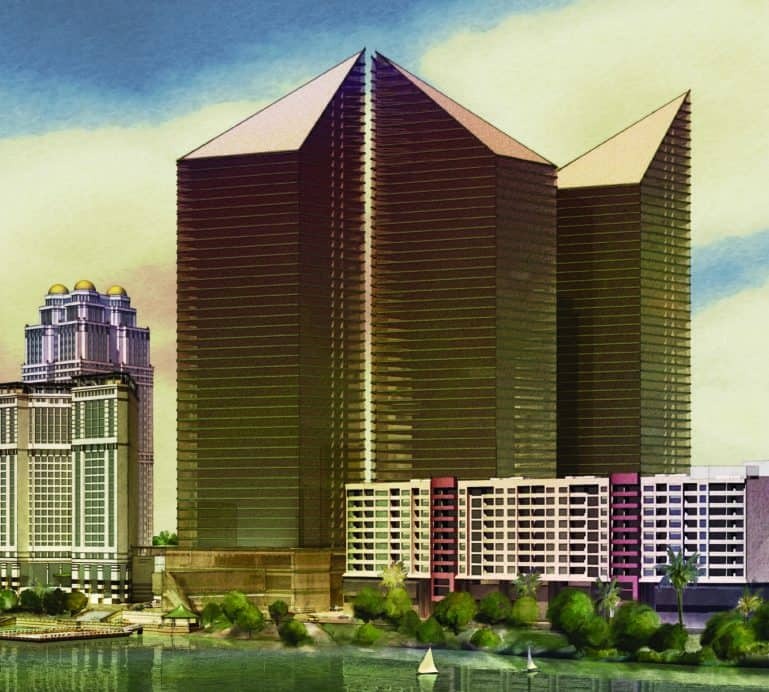 Three alternate architectural schemes were developed for the project, each with essentially the same program: a Five-Star Hotel tower, a luxury condominium or service apartment tower, and an office tower. 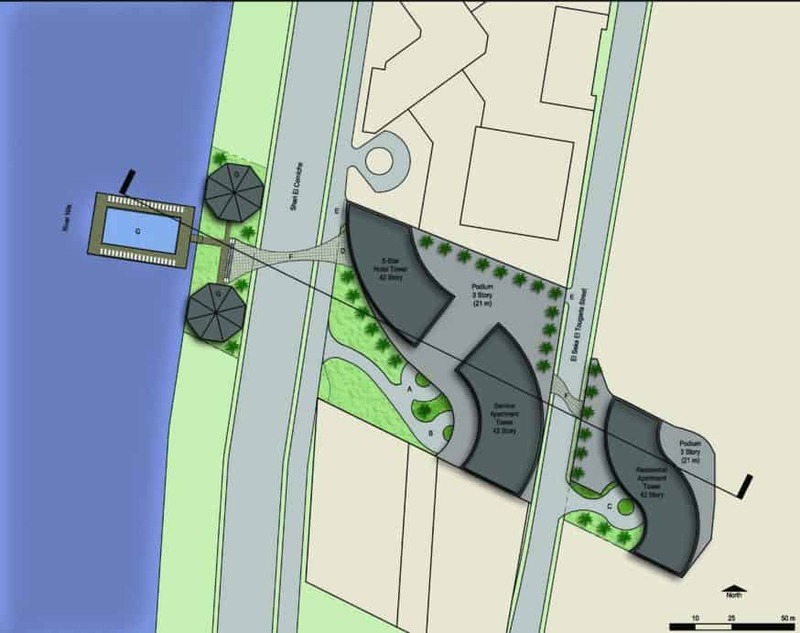 Three levels of parking are planned below grade in the podium. The remaining podium levels include all the services of a Five-Star Hotel including restaurants, business center, fitness/spa center, meeting rooms and a junior ballroom. 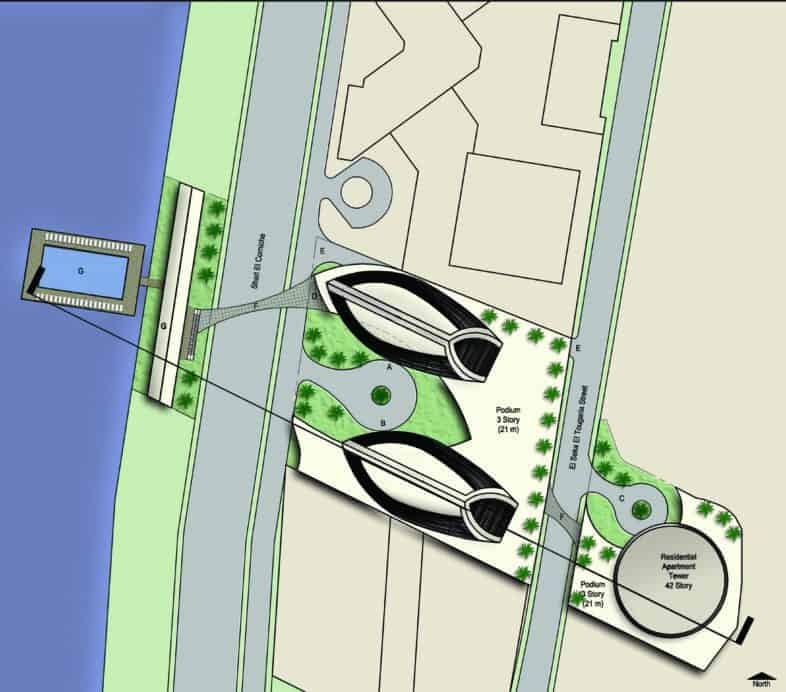 A bridge over the Corniche connects the hotel tower with a swimming pool, deck area and café that will be located on a barge floating in the river. 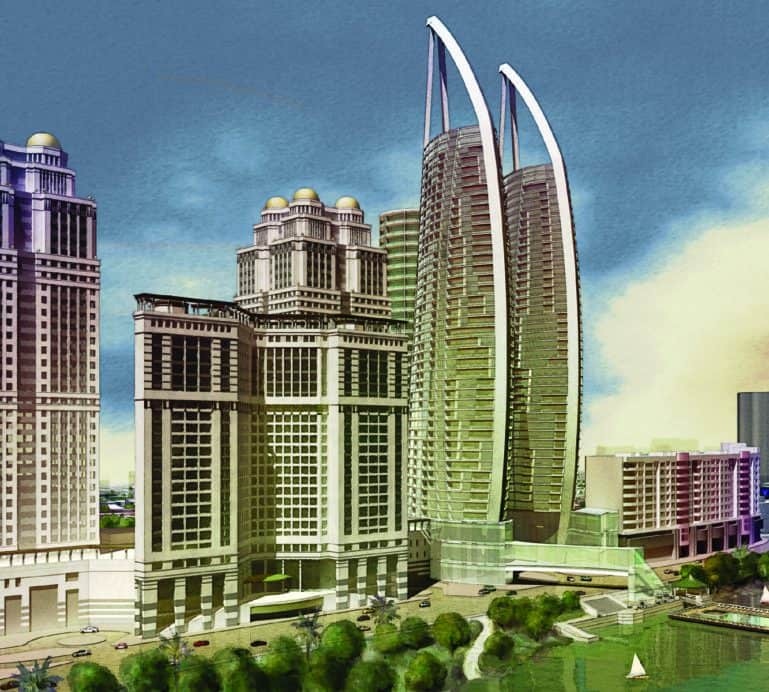 The 42 story towers in each scheme are oriented to maximize the view of the ancient pyramids at Giza.